An update from the Ohio Society of CPAs…. The Ohio Department of Taxation (ODT) is fighting tax fraud at the expense of timely returns. New screening measures mean electronic returns requesting a refund may take up to 15 days to be direct deposited this year. Paper returns could take up to 30 days for a physical check to be mailed out. The new safeguards include a new filter that will analyze the demographic information reported on a return. This analysis will then assign a “probability of fraud” factor that will determine how the return is then further processed by ODT. If a return is pulled for review, the taxpayer will need to pass an Identification Confirmation Quiz before ODT will process the return. Taxpayers without Internet access can call ODT at (855) 855-7579. These steps are being taken to further bolster defenses in anticipation of the continuing increase in attempted tax fraud involving identity theft. Last year, ODT intercepted an unprecedented number of fraudulent income tax returns representing more than $250 million in potential theft. In previous years, attempted tax fraud averaged about $10 million. A recent article from the Ohio Society of CPAs…. For the fifth year running, the Buckeye State has seen a record number of new entities filing to do business in the state, according to Ohio Secretary of State Jon Husted. Last year, 93,775 new businesses filed with the Secretary of State. These numbers surpassed 2013 figures, in which 89,735 filed. The steady growth among new businesses is a boom to the economy and for Ohio families. A major step in strengthening Ohio’s business climate was approving meaningful municipal income tax reform, an issue OSCPA has long advocated for on behalf of our members. Tax Tip of the Week | Feb 11, 2015 | No. 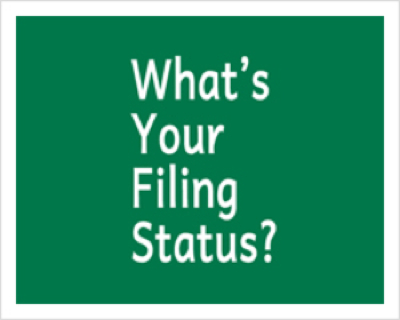 289 | How Are You Going To File Your Taxes? Some tips are worth repeating…a reminder each year. If you were legally married on 12/31/14, the IRS considers you married for the entire year of 2014. The primary reason to file MFS is to pay less tax. It is a particularly beneficial filing status to save on the amount of Ohio taxes paid. Another reason to file separately is to avoid joint liability. Each spouse who signs a joint return is responsible for the accuracy and tax liability on the return. 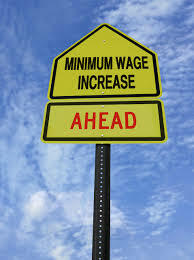 Ohio’s minimum wage increased to $8.10 ($4.05 for tipped workers) effective 1/1/15.The federal minimum wage of $7.25 can be used for businesses whose annual gross receipts are less than $297,000. There is a stalled bill in Congress to raise the federal minimum wage to $10.10. Rick Prewitt – the guy behind TTW…until next week.